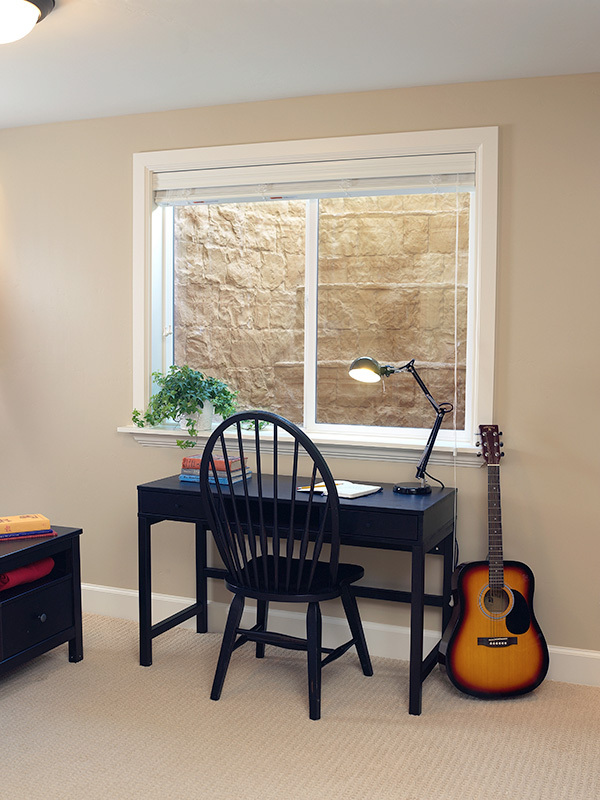 Install egress windows into your basement for a well-lit and safer environment. 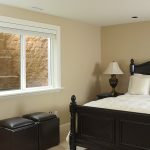 The law requires that if you intend to use the basement as a sleeping or living area, you should install egress windows to provide a quick exit point in case of an emergency. 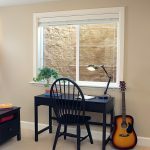 In addition, egress windows create inlets of natural light, thereby, immediately transforming a dark and stuffy basement into an airy and spacious living area. 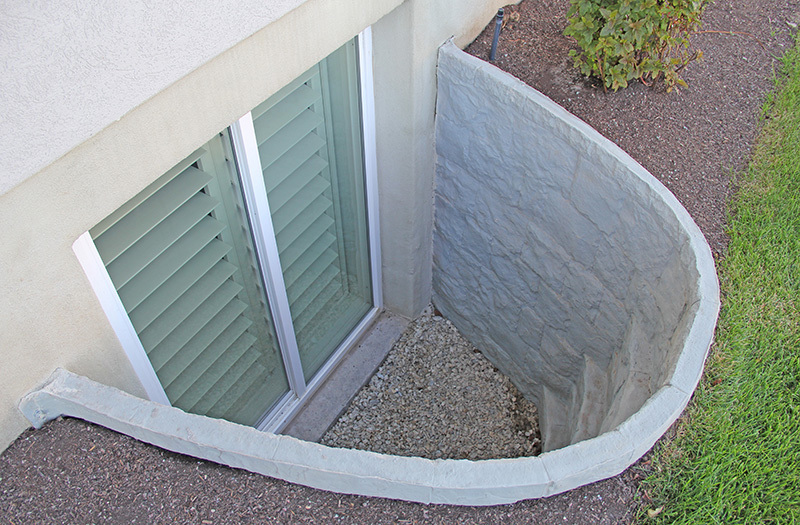 AquaGuard Waterproofing offers complete egress window installations, in addition to our foundation repair and basement waterproofing services. 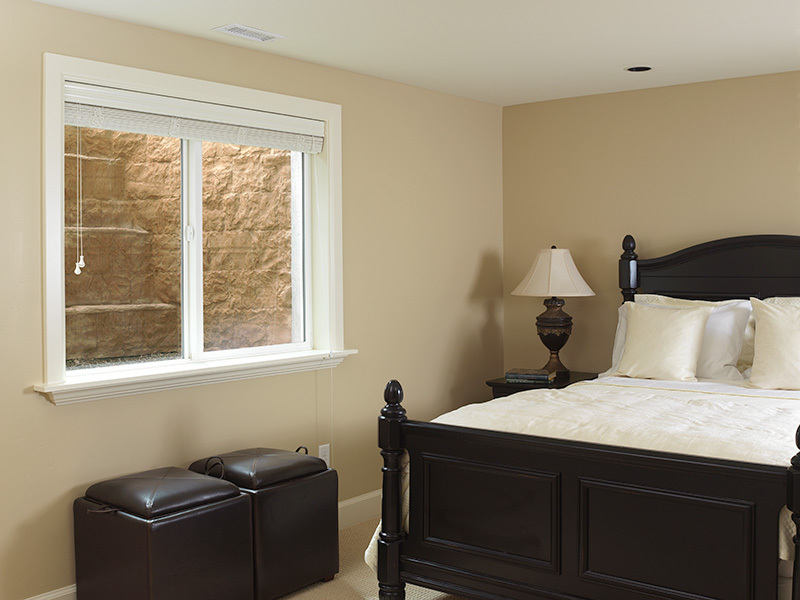 Carrying over 50 years of experience in foundation contracting, we have the knowledge and expertise to properly and completely install egress windows. Contact us now for more details! We are Authorized ROCKWELL – BILCO – BOMAN KEMP Installers! 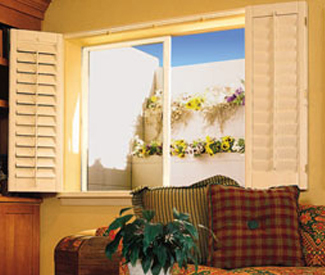 In simple terms, egress windows are emergency escape windows placed in the basement. Egress windows include installation of window wells, giving you an easily opened window into the outside, large enough to allow a grown human being to pass through. Should there be a fire or other form of emergency that renders the basement door and passageway blocked, the egress window can be used as an alternate escape route. 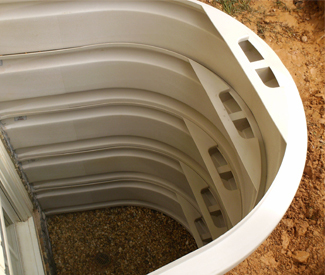 Our foundation contractors at AquaGuard will help you enhance safety and bring your building up to the required standards by completely and correctly installing your basement’s window wells and egress windows. We are authorized egress window installers by Bilco and Rockwell and are their distributor for Virginia, Maryland and the greater District of Columbia area. Our egress window systems are of superior quality, which are further enhanced by topnotch workmanship during installation. AquaGuard Waterproofing has the first Certified Egress Specialist in MD, DC, VA, NJ, DE and PA areas. 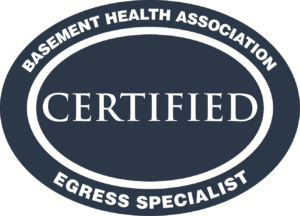 The Basement Health Association (BHA) instituted the certification process for Certified Egress Specialist (CES). Testing for the CES requires egress contractors to demonstrate knowledge of egress codes, standards and ethics, well drainage as well as OSHA safety standards for trenching, excavation and protective equipment. 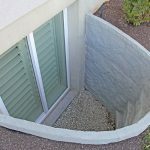 In case you want to transform that basement into a living space, bring it up to the required standard by calling in your expert egress window distributors and installers for Maryland, D.C., Virginia, New Jersey, Delaware and Pennsylvania area. Call us now on 800-784-9913 for more information on Bilco and Rockwell egress window systems and installation.